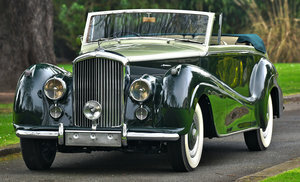 Vintage and Prestige are proud to offer this 1952 Bentley R-Type DHC by Graber for sale. 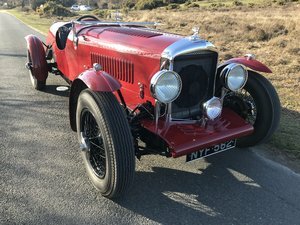 This unique Bentley was first bought by Professor Rudolf Geigy, biologist, zoologist, geneticist amnd CEO of the Swiss Pharmaceutical company, CIBA-GEIGY. 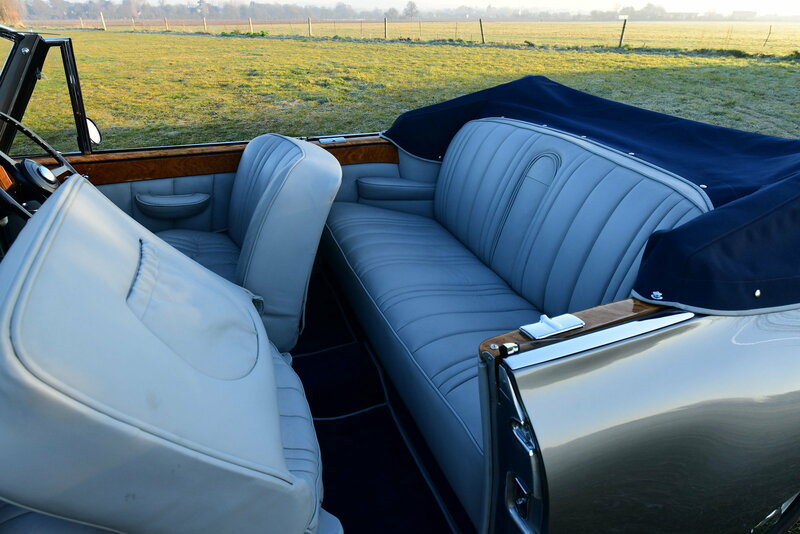 He ordered an R-Type chassis from Rolls-Royce and Bentley at Derby, and had it delivered to Swiss coachbuilders Graber in Wichtracg, where he asked Hermann Graber to design and build a drophead coupé for himself as a 50thbirthday present. Graber founded in the 1920’s, had a fine reputation of building bodies for British cars, including Alvis, Lagonda, Aston Martin, Rolls-Royce and Rover, and was famed for its beautiful, perfectly balanced and rather restrained lines. On chassis B89RS Hermann Graber styled a typically graceful and individual car, with a straight-through wing line, rear quarter lights, and the large soft-top very well harmonised with the boot lines. 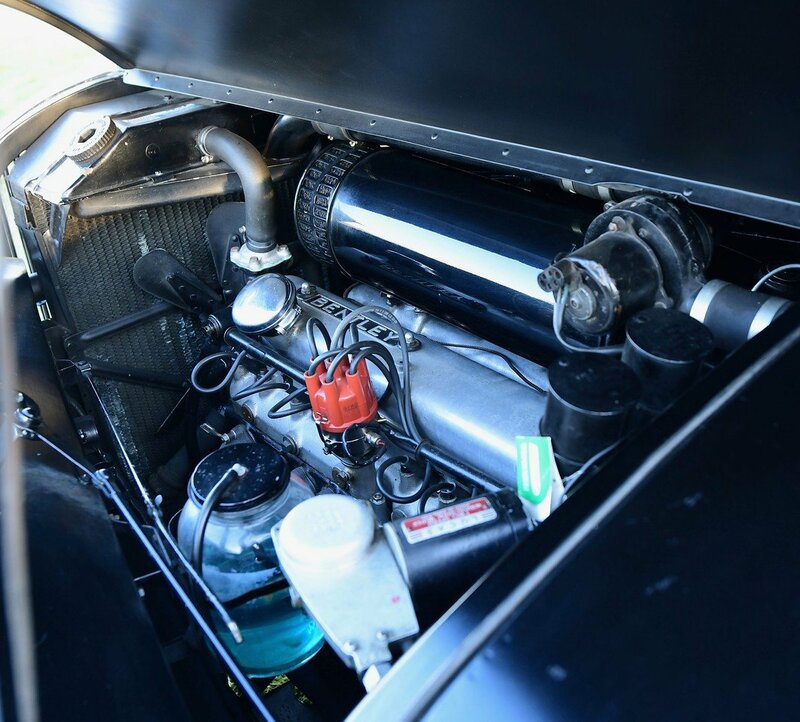 Underneath, the Bentley R Type chassis and drivetrain was very like that of the Rolls-Royce Silver Dawn: power came from the well proven straight-six with inlet-over-exhaust valves, but with twin SU carburettors rather than the single one fitted to the Silver Dawn, it produced and estimated 130bhp, enough for lively performance up to around 100mph. The front suspension was independent with wishbones and coil springs, and there was a live axle with leaf springs at the rear. The drum brakes were servo-assisted. The main difference with the preceding model was the longer chassis which allowed more luggage space and gave scope for come beautiful bodywork to be added. Standard steel factory bodies were available, but many chassis were sent to coachbuilders. Professor Geigy kept the car for a decade before it went to an owner in Germany, and it later travelled to Hong Kong. 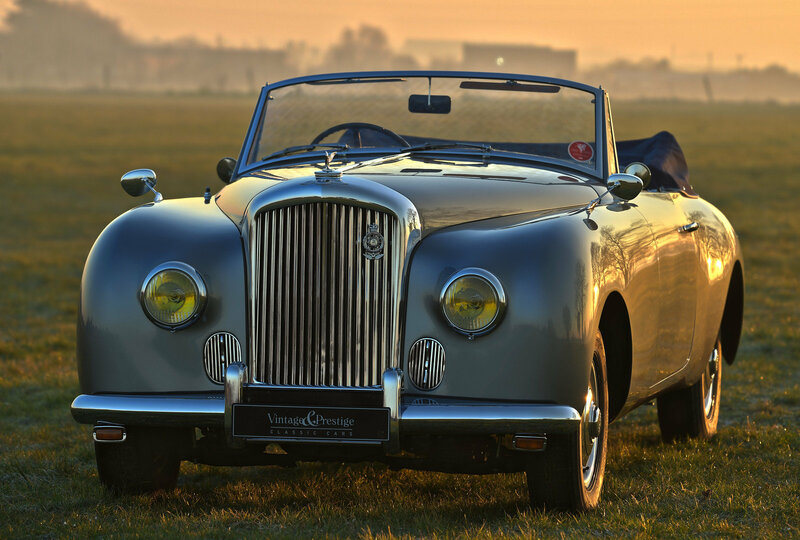 In recent years the car was sent back to Austria, to Zweimüller near Linz, for a complete, nut and bolt restoration, and since then the car has only sparingly been used on dry days. Today the car is in absolute concours condition, which was proven by it’s recent entry into the 2018 Concours of Elegance 2018 at Hampton court Palace. A large gallery of high-resolution pictures may be viewed on our website. Tudor Grey with Beige hide upholstery. In concours condition with extensive history. Maintained by P & A Wood in recent years. 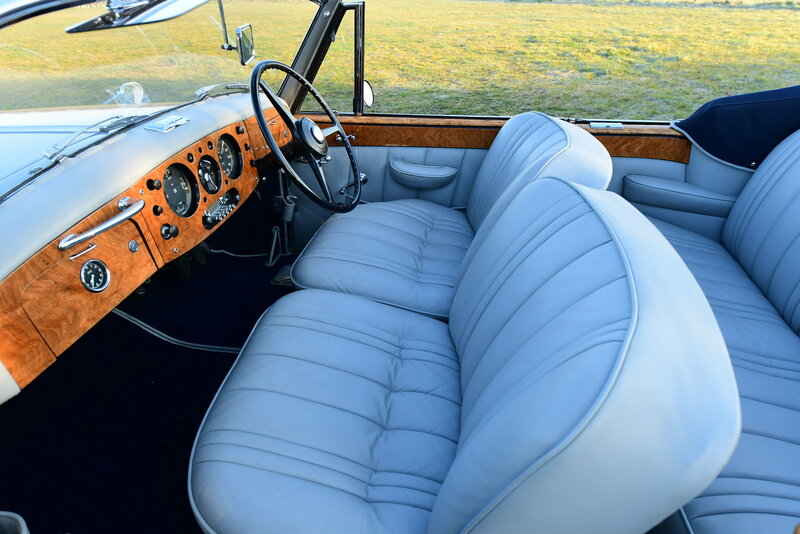 Considered as the most desirable of all post-war Bentley motor cars. Black Pearl with Dark Red hide upholstery. Fitted with manual gearbox, bucket seats and 4.9 litre engine. Best and last of the series. Excellent condition with extensive history. 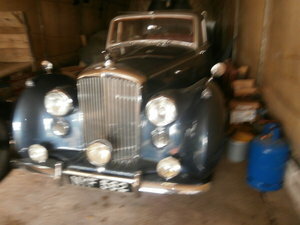 1953 Owned New By Oscar Winning British Actor Ronald Coleman! This is a fine example of the much loved Standard Steel Saloon. In Automatic with a full bench front seat and large single Picnic table to the rear. Finished in Masons Black with claret side panels and Red Leather interior. This car percents very well and drives beautifully.